Home Blogger Remove Attribution "Powered by Blogger" From blogspot blog. Remove Attribution "Powered by Blogger" From blogspot blog. The attribution "Powered by Blogger" is located at the footer of the blog. If you want to hide or remove it, follow the steps below. This step unlock your attribution gadget and you can remove it. Remove Attribution "Powered by Blogger" From blogger. 2. Select Blog > Go to Template > Edit Template. Shortcut Key for Search is "CTRL + F"
4. Now Paste below code above </head>. 5. 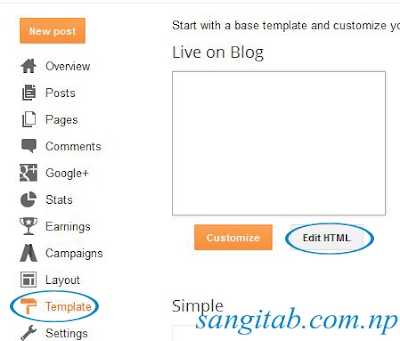 Save Template And reload your BLOG. Attribution "Powered by Blogger" is removed.